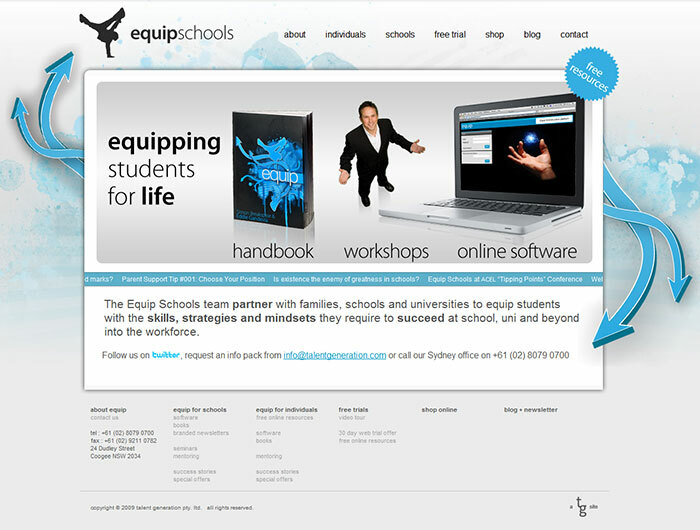 We recently refreshed one of our core product websites, Equip Schools. It hits a fairly complex mix of schools, parents/carers and individual students and we spent a lot of time trying to best articulate how the programme speaks to the varied concerns of each of these groups. The product has three curriculum-driven strands in the form of workshops, publications and software. The software strand is certainly the most distinct of the three in terms of conventional expectations of life-skills / personal management programmes that schools already run – and we’re still coming to terms with the best way to articulate that within the website. We’ve developed a brief (16 minute) training DVD that accompanies the product – however, this is obviously too long for initial contact and, while being highly explanatory, doesn’t really articulate the thousands of hours of educational psychology research and student mentoring that inform the product as it stands today. Distilling that down to a 10 minute package is a tall ask, but it’s also something near on the horizon as we seek to make this available to individuals beyond the school context.